DK Eyewitness Travel Guide: Norway will lead you straight to the best attractions this breathtaking country has to offer. Packed with stunning photography and illustrations, this guide helps you discover Norway region by region, from the enchanting Northern Lights and beautiful fjords to the vibrant Oslo nightlife. Explore the culture, history, wildlife, and architecture of Norway with walks and hikes through dramatic landscapes, scenic routes, and guidance on Norwegian cuisine. 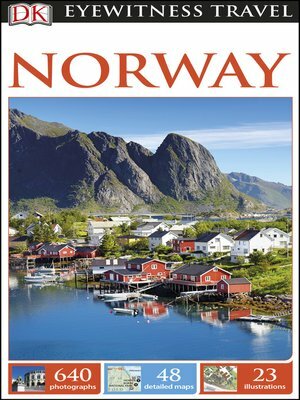 DK Eyewitness Travel Guide: Norway provides all the insider tips you need, whether you are whale watching, exploring museums, or hiking across spectacular mountains. This fully updated guide includes 3-D cutaway illustrations and floor plans of must-see sights, comprehensive listings of the best hotels, restaurants, shops and nightlife in each region for all budgets, and reliable information about getting around this incredible country. With hundreds of photographs, illustrations, and maps, DK Eyewitness Travel Guide: Norway shows you what others only tell you.